Tanzania International Container Terminal Services (TICTS), located at Dar es Salaam, is the country's largest container terminal.The Port of Dar es Salaam handles more than 75 percent of Tanzania's trade and is a vital gateway not just to Tanzania, but also to eastern, central and Southern Africa. The port is strengthening its role as the county's maritime gateway, investing in modern IT systems and mobile equipment while constantly improving its productivity levels, efficiency and customer service. Tanzania International Container Terminal Service (TICTS) is a member of Hutchison Ports, the port and related services division of CK Hutchison Holdings Limited (CK Hutchison). Hutchison Ports is the world's leading port investor, developer and operator With a network of port operations in 52 ports spanning 26 countries throughout Asia, the Middle East, Africa, Europe, the Americas and Australasia. Over the years, Hutchison Port has expanded into other logistics and transportation-related businesses, including cruise ship terminals, airport operations, distribution centres, rail services and ship repair facilities. We are seeking applications from suitably qualified, motivated individuals to fill position of Head of IT in our IT Department. Generally, the candidate will be responsible for ensuring the IT Infrastructure and Systems of TICTS are up running to cater for 24/7 port operations. To achieve stable and smooth IT operations, candidate will be able to set the IT operations standard and processes, lead a team of IT personnel, monitor, update and maintain the IT Infrastructure, coordinate and sustain TICTS end-to-end IT system applications operations, execute all prioritized. approved change initiatives including group technology system enhancements. upgrades or replacements and other projects such as IT Infrastructure streamlining and Cloud. Also he/she should understand overall business dynamics and provide optimal IT service delivery across the organization by ensuring effective and efficient end-to-end delivery of IT systems. 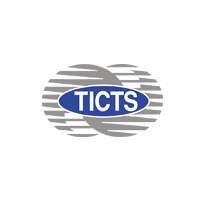 This occupation has a level of education and skills to enable the candidate to perform assigned tasks in accordance with TICTS working standards. The following are the minimum requirements. • Degree in Computer Science, Information Technology, Information System or other relevant IT academic qualifications. Masters level will be an added advantage. • A minimum of Five (5) years working experience in managerial level. Application deadline is 30th May, 2018.